So the first place where I purchased some lippies was at Bol.com. 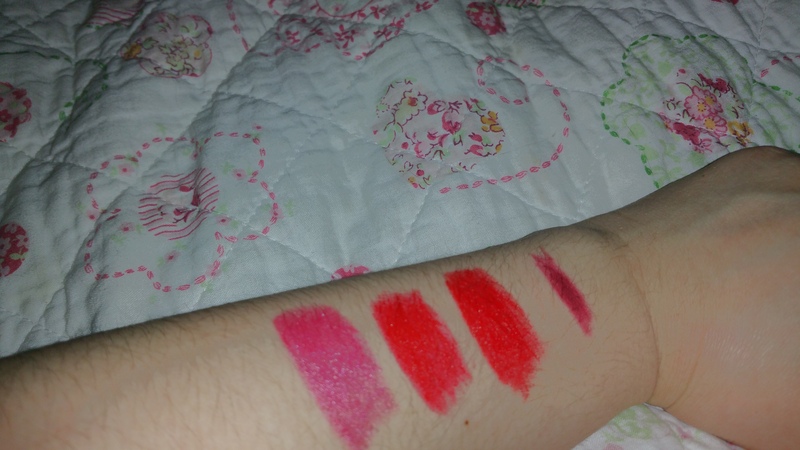 I am always on the look for finding cheap product which works as good as any other lip product for me. So through my browsing on the site I found the brand Mrs Sporty I remember using polishes of this brand, when I was in my teens and I used to love these items. Remembering that I used to like the polishes of Mrs Sporty, I opted for these lipsticks. Even before testing these lipsticks I can already say I dislike the baby pink colour and definitely regret purchasing this colour. On the website it looked different. It’s a sick making pink. I really don’t have a good thing to say about this colour. I need to figure out what to do with this lipstick. Maybe find a tutorial on making my own lip balm. Any suggestions guys? 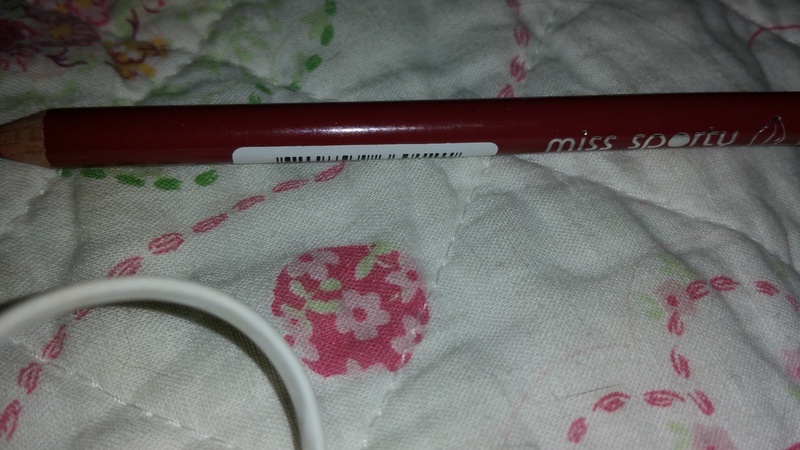 Mrs Sporty lippencil in 012 wine for €1, 64. I love the colour a sultry red. I have not made my mind up (except one)if it’s worth while, purchasing more lipsticks of this brand however I do like some of the colours. I need to try these lippies more,before I make my mind up. The lipstick names are cute though. If you want me to write a review let me know via a comment. After my little shop around, at Bol.Com, I gave Etos my best shot. Check out the items below what I purchased at Etos. Max Factor False lash effect. As you know this is my favourite, favourite mascara at the moment. I was so happy these mascara’s were on sale €16.99. I saved, combined with these polish €24.00, so that was super awesome! 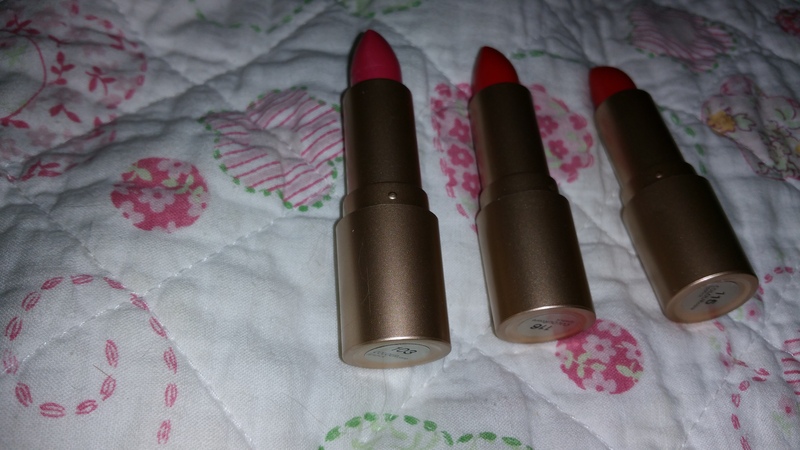 If you want me to write a review about the Etos lipsticks let me know. I hope you enjoyed this little haul.Untill the next time everybody☺. If you liked the blog please like or subscribe to thumbelinaslifestyle.